Boxing superstar Floyd Mayweather may have announced his retirement last September after defeating Andre Berto via unanimous decision to move his record to 49–0, but there are more and more signs pointing to a return to the ring for the 39-year-old fighter. Although no bout has been set up yet, it appears that Mayweather is already planning for the possibility of one. 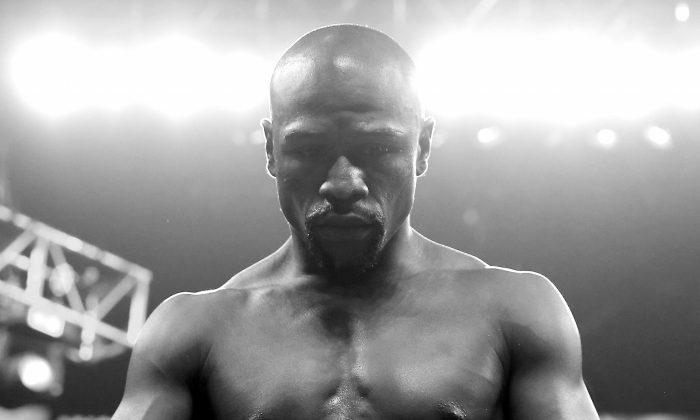 A company owned by Mayweather filed for patents to “TMT 50” and “TBE 50,” which may stand for “The Money Team” and “The Best Ever,” ESPN reports. Mayweather’s next fight would be his 50th. Over the weekend, Mayweather was interviewed by Showtime’s Jim Gray and he didn’t sound like someone who was done with the sport. “Right now, I’m happy being on this side, but I’ve been talking with CBS and Showtime, and you just never know. But right now, I’m just happy on this side,” said Mayweather, who has become a boxing promoter. Those hoping for a Mayweather/Pacquiao encore may be disappointed, though, as Gray didn’t ask about the possibility of fighting the Filipino boxer whose bout with Mayweather in May of 2015 ended up being far and away the biggest purse in the history of the sport.